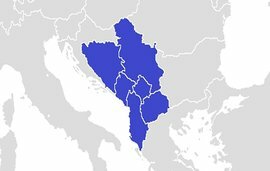 The Western Balkans Investment Framework (WBIF) was established in 2009 by the European Union (EU), the European Investment Bank (EIB), the European Bank for Reconstruction and Development (EBRD), the Council of Europe Development Bank (CEB), and Kreditanstalt für Wiederaufbau (KfW). The purpose of the WBIF is to contribute to the stability, reform and EU accession process in the Western Balkans and enhance harmonisation and cooperation in investments to promote the socio-economic development of the Western Balkans. The selected investment projects are supported by the Infrastructure Projects Facility – Technical Assistance Window (IPF TA) contracts. The overall objective of IPF7 is to contribute to the improvement of infrastructures in Western Balkan IPA beneficiaries. Specific results include preparation of studies, technical documentation as well as procurement and supervision services. Indirect results will be enhanced collaboration with IFIs though internalization of project preparation techniques by local counterparts as well as an upgrade of beneficiaries’ management skills preparing them to their future utilization of EU structural funds. As of December 2016, the WBIF has allocated €600 million in grants to Western Balkans, out of which €492 million represent EU contribution. The grant allocation is matched by €5 billion in signed loans. Other technical assistance studies and services.